This week we are kicking things into overdrive with our returning champion taking on 3 heavy hitters! The KCMQ After Dark’s Fight For Friday Night returns this week with all new rock! 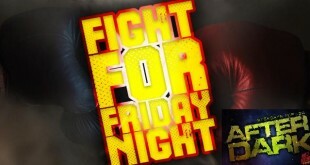 It’s the return of The KCMQ After Dark Fight For Friday Night this week! A new week begins with four brand new songs from bands that are looking to become the next KCMQ After Dark Fight For Friday Night Champion! Another round of challengers have stepped up to take on our 3 time defending champions this week! Dave Grohl has revealed that Sir Paul McCartney will make a guest appearance on the new Foo Fighters album. Three brand new songs are ready to take on our two-time defending champions & your votes will decide who wins this week! This week sees our returning champion from last week taking on three new competitors for this week’s Fight For Friday Night! A new week brings four brand new songs for you to check out & decide who will be the new KCMQ After Dark Fight For Friday Night Champion!